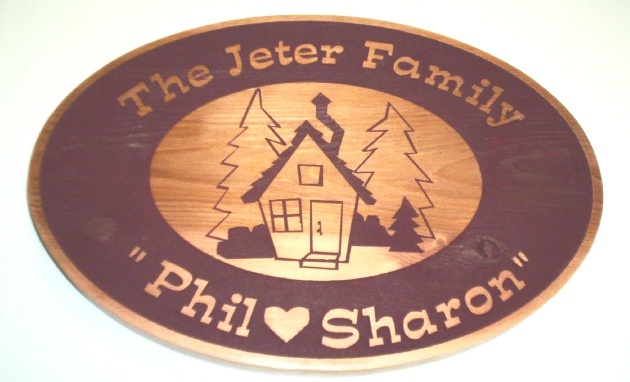 This Cedar wood sign for a family cabin in the woods is carved, engraved and sandblasted, leaving the light wood natural. the darker areas were painted for contrast. The entire sign was clear-coated twice.This sign can be mounted on a door, a house wall , on a post , or hung from a wood or iron hanger.